Last month, famous smartphone manufacturer, Panasonic unveiled a new phone for budget users, P55 Novo. The upgraded handset packs a nice set of specs, and promises buttery smooth performance while running demanding games and apps. It comes at attempting price just below 10k, and goes straight against the likes of players like Lenovo A7000, Moto E (Gen 2) and others.While Lenovo A7000 packs an 8MP shooter, Panasonic P55 Novo boasts a much better 13-megapixel shooter with a bunch of features. The face-off between both of these phones is really close, and our in-depth comparison can play a big-part in selecting the perfect phone with much ease. So, if you’re planning on buying either of the two phones, have a look on their pros and cons for better understanding! In terms of design language, Panasonic P55 Novo and Lenovo A7000 both flaunt a nice look from all-angles.Both plastic-made phones look pretty impressive and are available in a bunch of color options. On one hand, Lenovo A7000 measures at 152.6×76.2×7.9 mm and comes in Pearl White and Black Onyx colors, while on the other, P55 Novo measures at 147.9 x 73.8 x 8.1mm and is available in Champagne Gold, Midnight Blue, Smoke Gray avatars.It features a smaller screen-size, but is thicker than Lenovo A7000. In terms of visual capabilities, there is no big difference between Lenovo A7000 and Panasonic P55 Novo. On one hand, the powerful budget phone from Lenovo sports a 5.5-inch HD IPS display with 267 pixels per inch, while on the other, P55 Novo flaunts a smaller-yet beautifully crafted 5.3-inch HD IPS display with 277 pixels per-inch. Both phones go head to head, and deliver prolific viewing experience with vivid color production and better contrasts. Watching movies or playing games is a real treat on both phones. Hardware capabilities create the biggest line of difference between the two phones. While Panasonic P55 Novo features decent performance and powers up by an octa-core processor clocked at 1.4GHz, coupled with 1GB of RAM, its counter-part Lenovo A7000 powers up by an octa-core MediaTek MT6752M processor clocked at 1.5GHz, paired with 2GB of RAM.It packs a faster processor with more RAM, and creates a perfect ecosystem for non-stop work and play. Even on the software front, Lenovo A7000 has the ball in its court. The powerful budget phablet runs the latest version of Android, and packs incredible performance with a bunch of features. 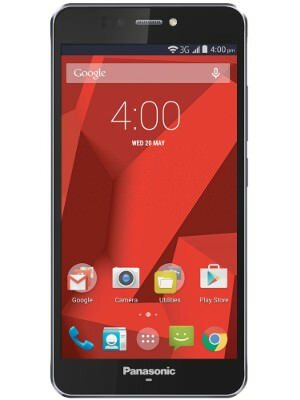 It runs Android 5.0 Lollipop-based Vibe-UI, and performs much better than Android 4.4 KitKat based-P55 Novo. The interface of Lenovo A7000 is not close to stock android, but is good enough to cater all your needs without any glitches. It comes with small amount of bloatware, and gives an excellent user-experience. In terms of camera capabilities, both phones produce decent image quality with their powerful rear and front-facing snappers.Whether its daylight or lowlight, they take snaps with rich colors and good depth of field. Lenovo A7000 boasts an 8-megapixel rear camera with LED flash, and a 5-megapixel front-facing camera, while Panasonic P55 Novo packs higher pixel count with its 13-megapixel rear camera with triple LED flash, and a 5-megapixel front-facing shooter with a single-LED flash.Its lowlight performance is really good, and can certainly cater all your needs without any issues. In terms of storage, both phones go head to head, and feature sufficient room with 8GB of inbuilt storage, which can be expanded up to 32GB via micro-SD card. Whether you’re a big music lover or dedicated gamer, both of these phones will give sufficient space to keep a massive selections apps, docs, and media files. On the connectivity front, Lenovo A7000 again takes an upper hand against Panasonic P55 Novo. The Android Lollipop-based phone packs LTE connectivity, and gives lightning fast download and upload speeds on different networks. It supports LTE bands currently deployed in India, and can give download speeds up to 150Mbps and upload speeds up to 50Mbps. Keeping this apart, both phones go neck and neck feature decent support with Wi-Fi, GPS, GPRS, 3GHSPA+, Bluetooth and micro-USB options. A bunch of sensors including accelerometer, proximity sensor, and compass also comes on-board! In terms of power efficiency, Lenovo A7000 stands out with its long-lasting 2900mAh battery. The powerful budget phone packs 39 hours of talk time on 3G, and performs much better than Panasonic P55 Novo, housing a smaller 2500mAh battery. On standard usage, both phones can hold sufficient power, but when you’ll get into heavy-usage, Lenovo A7000 will perform better with its bigger battery.With Android 5.0 Lollipop combined with bigger battery capabilities, it will give adequate support for non-stop work and play. Launched at Rs. 9,290, Panasonic P55 Novo is currently available at a price around 9k. It’s hitting the shelves via offline and online channels, and can be purchased via retail outlets as well. 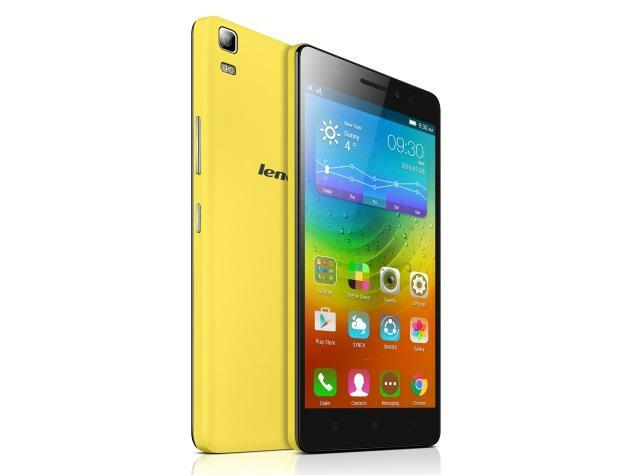 Lenovo A7000, on the other hand, is also coming at a price just above 9k. The official MRP of this Flipkart exclusive device is Rs. 8,999, but as of now, it’s hitting the shelves via several stores at higher prices. Originally, A7000 was sold via Flipkart’s flash-sale model. In a close face-off,Lenovo A7000 takes the game away with its improved processing and RAM capabilities.The power-packed device packs lag-free performance, and outshines Panasonic P55 Novo in all categories.The new smartphone from Panasonic did packs better camera capabilities, but we all know, improved camera performance is nothing without top-tier hardware and software specs. In a nutshell, Lenovo A7000 is a great deal for budget buyers. It comes at a competitive price, flaunts a stunning design, and brings the best of Android with top-tier performance. With a tight budget, Lenovo A7000 is probably one of the best smartphones available in the market. It offers superb value for money, and gives an excellent music experience with Dolby ATMOS speakers.